Safe & humane removal of snakes, rattlesnake prevention for home owners in Prescott, Prescott Valley, Dewey and Chino Valley. Call any time for 24/7 immediate rattlesnake removal. Safe and humane, we're there all-hours to capture unwanted reptiles at your home or business quad-city area. Rattlesnakes are most common where homes meet desert habitat, and snake sightings are common almost year-round. Pest control companies can't help; Rattlesnake Solutions is available to quickly and safely resolve your snake situation. We're not just snake relocation specialists; the Rattlesnake Solutions team is made of avid field herpetologists, students, researchers, and reptile enthusiasts with lifetimes of experience finding and capturing rattlesnakes in the wild. We bring this experience to your yard. You'll learn what's there and how to reduce your chances for another unwanted rattlesnake encounter. 1. Call Rattlesnake Solutions at 928-325-7371 any time of day or night. 2. Keep an eye on the snake We'll ask you some questions, and be on the way right away. 3. Wait for a Rattlesnake Solutions field agent to arrive and capture the snake. Rattlesnake Solutions isn't an exterminator or pest control - we're rattlesnake specialists, wildlife experts, and the pro service you need to capture unwanted desert reptiles from your property. 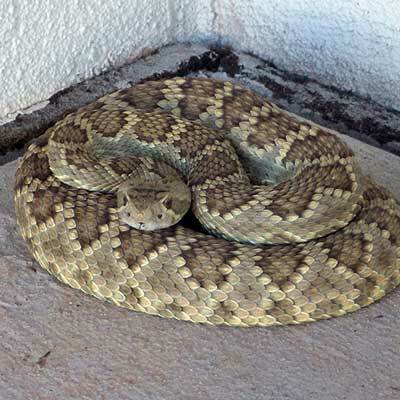 Rattlesnake control is big part of living safely in the desert areas around Prescott. If you have a rattlesnake that requires removal, call Rattlesnake Solutions at 928-325-7371 for 24/7, immediate snake control services. Living in the Prescott area, snake sightings are very common. Rattlesnake Solutions not only catches and moves snakes as humanely as possible, but can often tell you exactly why the rattlesnake is there and how to avoid it in the future. Reduction of yard features and key habitat that may be attracting rattlesnakes to your yard can reduce your chance of ever seeing another snake. © Copyright Rattlesnake Solutions LLC.